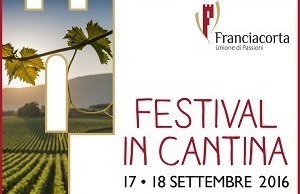 Saturday 17 and Sunday 18 September celebrate the Franciacorta Festival with a triumph of taste at the historical cellar Castello Bonomi. A big festival, that has as main characters the wine and local food that contribute to the uniqueness of this territory, beloved by Italian and foreign wine-tourists. The weekend will be devoted to the discover of the Franciacorta method, through cellar visits and wine tastings. RESERVATION REQUIRED. Phone: +39 030 7721015, francesca.cavalli@castellobonomi.it.